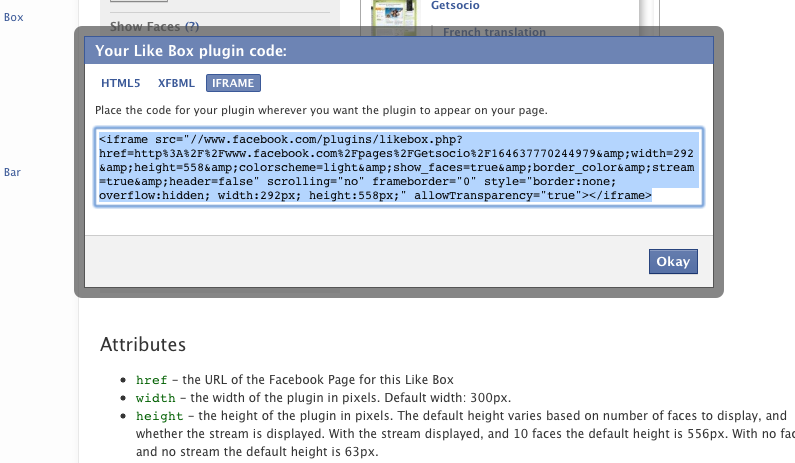 To add a Facebook Like Box to your Getsocio site you will need to create a Facebook page first. Copy and paste the link to your Facebook page instead of link to Facebook platform page, you may play around, with height, color scheme and other settings to see which one will look the best. 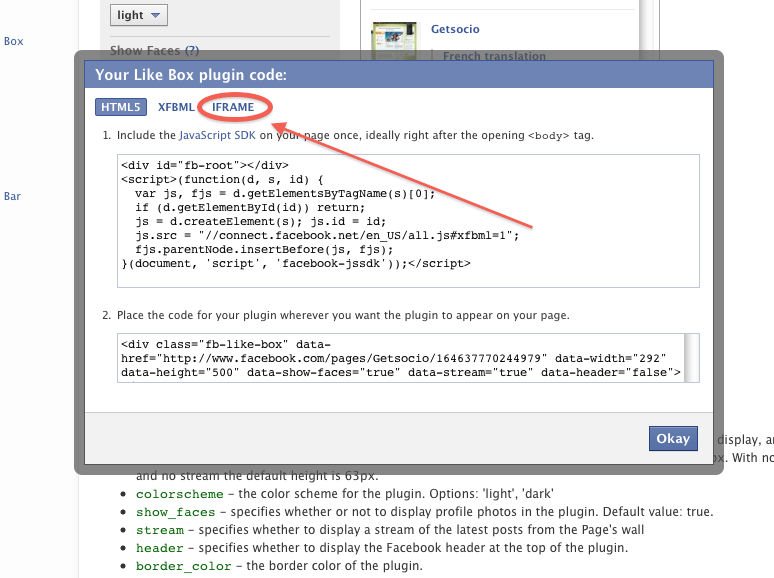 The press "Get code" button.